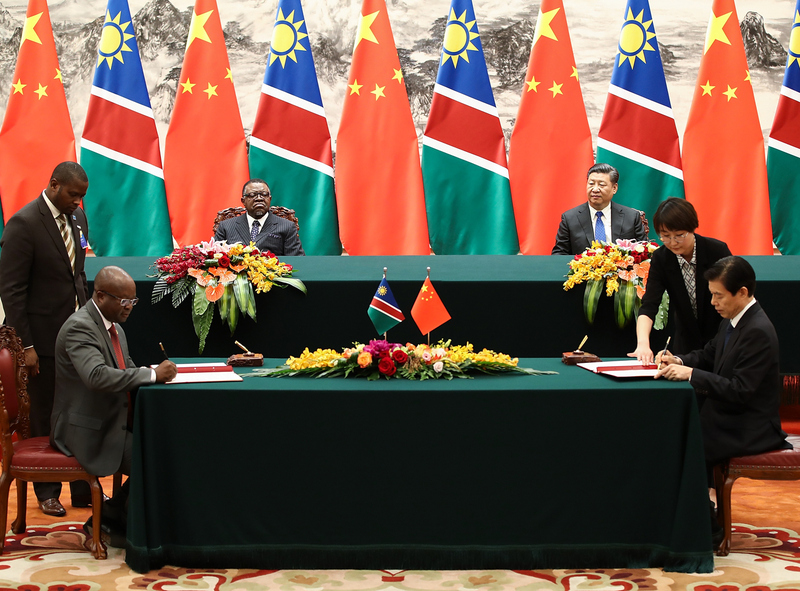 Chinese President Xi Jinping (top right) with Namibian President Hage G. Geingob (top left) attend a signing ceremony at The Great Hall Of The People in Beijing, March 29, 2018. Longtime China-Africa analyst and University of Pretoria Ph.D. candidate Yushan Wu joins Eric and Cobus for a lively discussion on whether it still makes sense for China to put on big, expensive mega-summits with African leaders, like FOCAC, which will take place in Beijing in September. Facing a slowing economy and a potentially devastating trade war with the U.S., maybe China is being pulled in other directions. That said, Africa presents a huge potential market and enormous geopolitical opportunities for Beijing in this time of profound geopolitical change.